Welcome to our article on the fun things that you can do using your silhouette cutting machine The Silhouette range offers a wide variety of options to keep you occupied for a long, long time, and the online tutorials we have provided you with will give you all of the hints and tips you need to create your very own crafting masterpiece. Don’t worry, If you don’tt own a Silhouette Cutting Machine check out the range available below. 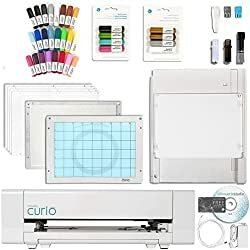 Please note, that a most of these crafting projects can be done using the other brands of die-cutting machines, not just the Silhouette brand. An incredible place to begin with the Silhouette cutting machine is by making crafts out of paper and card. The materials are modest in price, really simple to discover, and you won’t feel terrible in the event that you botch up a project. And trust us when we say, you will. One thing you will discover when playing around with a Silhouette cutting machine, is that you will never get it right first time, or second or third, and you will ultimately finish your first few projects with a lot of trial and error. But it will get easier. We promise!!!! Using Paper or card you can make cards for any occasion (including birthday’s anniversaries or Christmas) or even beautiful and stylish invitations, make wall art to hang in your home, or make adorable little bookmarks for the avid readers in your lives. Other paper based projects ideas to give you imspiration can include gifting tags and even 3D models. As this whole article states, the Silhouette is capable of cutting most materials, and the Silhouette cutting machines are also capable of cutting fabric. If you are planning on utilizing your Silhouette cutting machine to cut any form of fabric, please ensure you purchase a different blade from the one you use for paper. Do not mix these blades or even your scissors up. 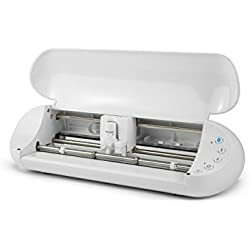 Keep fabric and other equipment separate When cutting any form of fabric it is an awesome idea to purchase a sprayable starch before you put it through the Silhouette cutting machine. This will help make the fabric easier to work with and make it less demanding to cut. Your projects can include a vast array of fabric, including cotton and felt, and the sky’s the limit from there. It is worth noting that Silhouette create their own unique sew-able interfacing fabric that makes it extremely simple to press your plans onto different materials. On the other hand, you could utilize a standard fabric and apply a Heat’nBond sticky material. A few crafters experience difficulty getting great results from their stamp, so for a few hints and traps, check out the video below. The huge benefit about the temporary tattoo paper is that you can utilize it for different sorts of projects such as wood transfers. A common question that people ask is why would you utilize the pen holder or outline pen as opposed to simply printing something out with an inkjet printer? Well, using a beautiful font (or even transforming your own unique penmanship into a text) you can tackle a tedious task like wring out envelopes or lists whilst maintaining that beautiful writing style. Another task that your Silhouette cutting machine can do which most printers can’t, is to utilize white pens on dark paper, or use glitter pens to create amazing bespoke products. By using the heavier type of card stock, vinyl, or even plastic organizer dividers, you can make stencils for use with paint, or even if you are feeling really adventurous, spray paint, and that’s only the tip of the iceberg. Stencils open up a wide assortment of projects you can carry out, all of which will begin with the silhouette cutting machine. The Silhouette Cutting Machines adhesive magnet paper makes it simple to make customized and bespoke crafts. The things you can make can be for homely purposes, for ornamental purposes, or you can even utilize the Silhouette’s attractive paper to make an interactive toy for your children. As a reward, on top of the awesome things we have shown you what can attempt with your Silhouette, here’s a list of tutorials that will demonstrate to you the best methods to get the most out of the Silhouette Studio software. 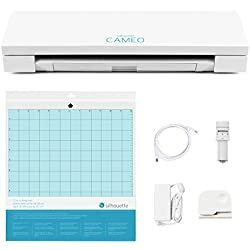 What projects are you are making with your Silhouette cutting machine? Tell us in the comments section below .